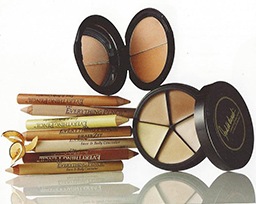 Judith August founder and creator of Judith August Cosmetics, has a passion for concealers. 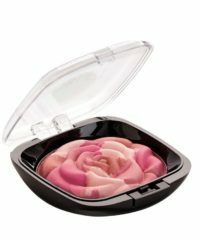 Constantly working in partnership with top cosmetic laboratories, in the USA, together they create relevant products that cover up and conceal just about everything , for everybody, including under eye circles, rosacea, vitiligo, acne and blemishes, age spots, scars, post operative bruising, birthmarks, tattoos and more. She designs her products to achieve beautiful and effective results, from simple annoying flaws to serious coverage. “It’s all in the formulas, colors and textures that make them work” states Judith. 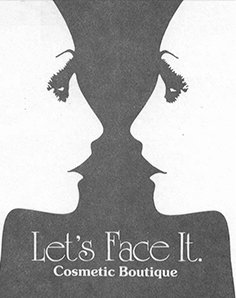 She realizes makeup plays a pivotal role in the psychological well being of both men and women. Looking good is not superficial. It measures health, projects and image, and encourages self esteem. 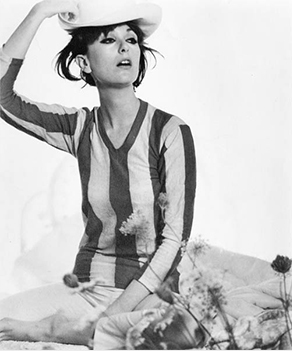 Her journey began as a fashion model in Los Angeles and New York, but, she had a serious hereditary issue which made it hard to compete in the “perfectionist” world of modeling. 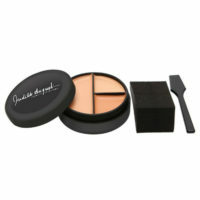 – Quote from Judith’s recent book: “Gotcha Covered ‐The Compact Guide to Camouflage Makeup. Blast form the past: Modeling Pictures from "The Dusty Trunk"
Moving to New Orleans, with her family, Judith opened the first cosmetic boutique in the south. The women (and men) from all over the city flocked to this little “jewel box” of a store which presented many exclusive lines of cosmetics and perfumes. 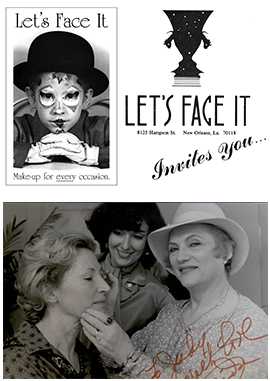 The store received the “YWCA Award for Excellence” and was the “Mecca of Makeups and Makeovers.” Many celebrities and makeup artists from Hollywood, Beverly Hills and New York came to the “Big Easy” as “Special Guests” of Let’s Face It. It was definitely the place to go for all the parties, proms, and balls that the city is known for. 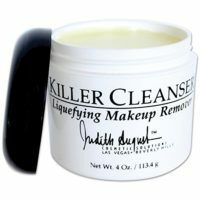 Returning to Los Angeles, Judith formed a cosmetic consulting company. Projects included training and development for two start-up companies; Indian Earth and the Two Bunch Palms Spa line. As training director for Aida Grey Cosmetics of Beverly Hills, she developed workshops, lectures, and seminars to all types of women’s groups, organizations and corporations. There became an increasing demand for her makeup techniques. 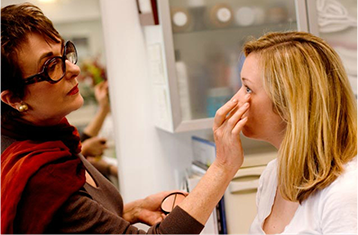 She was contacted by plastic surgeons in the area to be their cosmetic consultant in post-operative makeup application. It was through this work that she created a concealer that simply covered up everything. She called it The Everything Pencil™. It was the first concealer, in a pencil form, under a brand name. The doctors gave it to their patients after surgery and in turn, it was hailed by patients as an item they couldn’t live without. Allure featured The Everything Pencil™ as their Editor’s Choice and within weeks, and cosmetic company was born. The pencil took on an ‘energy of its own’. It was, and still is available through doctor’s offices, specialty stores, salons, spas and mail order catalogs throughout the country. 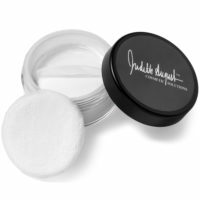 Today, you can find many more award winning concealer products on her website at judithaugustcosmetics.com. The company’s vision is to stay exclusive, unique, and accessible to the needs of her clients. You can still find her answering customer service phone calls and giving makeup advice. Her customers are her number one priority. 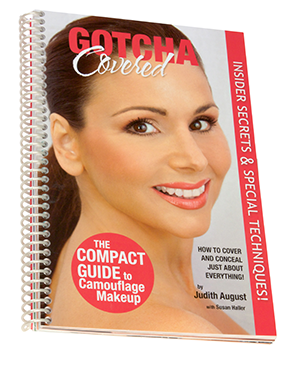 She’s also written a makeup book, “Gotcha Covered‐ The Compact Guide to Camouflage Makeup”, an exquisitely illustrated, 110 page guide, providing detailed tips and trick by Judith August. This “at home” guide is available for purchase through our website and as a kindle download through Amazon.com.